The death of a 21 year-old intern has raised concerns about the high degrees of pressure and long hours imposed by the macho culture at investment banks. Moritz Erhardt, an intern at Bank Of America Merrill Lynch, was found dead at home in East London as he neared the end of a seven week internship. It seemed that Erhardt had worked until 6am for three days in a row. Police believe that epilepsy may have been a contributory cause of death but it is apparent that bank internships have become as macho an environment as Army boot camps. Many summer interns stay in the Claredale House student accommodation block. The Independent spoke to interns who said that the investment bank division demanded the longest hours. "The guys working regularly until 3am or 4am are those in investment banking," one intern said. "You’re only doing it for up to 10 weeks so there’s a general acceptance of it. I see many people wandering around, bleary-eyed and drinking caffeine to get through but people don’t complain because the potential rewards are so great. We’re competing for some very well-paid jobs." Speculation among the interns was that Erhardt had been driven too hard by the competitive environment. "He apparently pulled eight all-nighters in two weeks," one suggested. "They get you working crazy hours and maybe it was just too much for him in the end." Interns talk about the "magic roundabout" in which a taxi takes them home after work, waits while they shower and change, before taking them back to work. 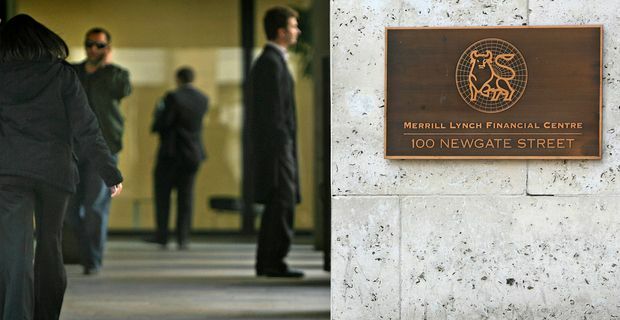 John McIvor, communication head at Merrill Lynch, said: “All the rumours and comments are just that. I have not got any comment to make on our work patterns. Do people in investment banking sometimes work long hours? Yes they do." It's an environment that encourages the reckless machismo in investment banking that has caused massive problems for major banks in recent years, with consequent damage to the global economy.